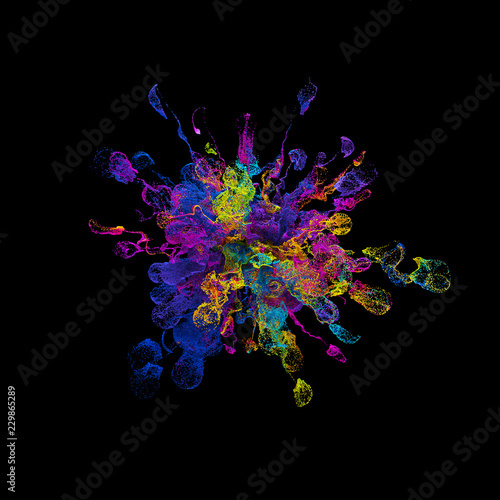 > Fototapeta>Tematy>3D>3d render background with abstract particles. Turbulences and curled particles. Complex simulation. Isolated and multicolored.